I collected in my local forest in Northern California. picked green–kitkiddizzy (Mt. Misery), manzanita berries. Tied w. (vintage 30’s spool) of silk thread around the branches. 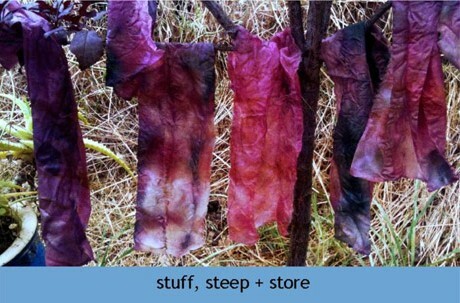 Covered w. alum water leftover from previous dye lot. Same plant material as above jar. I added a few bottle caps from beer and chocolate foil thrown in after enjoying them. A few eucalyptus leaves(dyed light green before) picked up from garage floor/origin Coastal area. Repurposed cotton pillow case wrapped on copper pipe.and wrapped w. (vintage)silk thread. 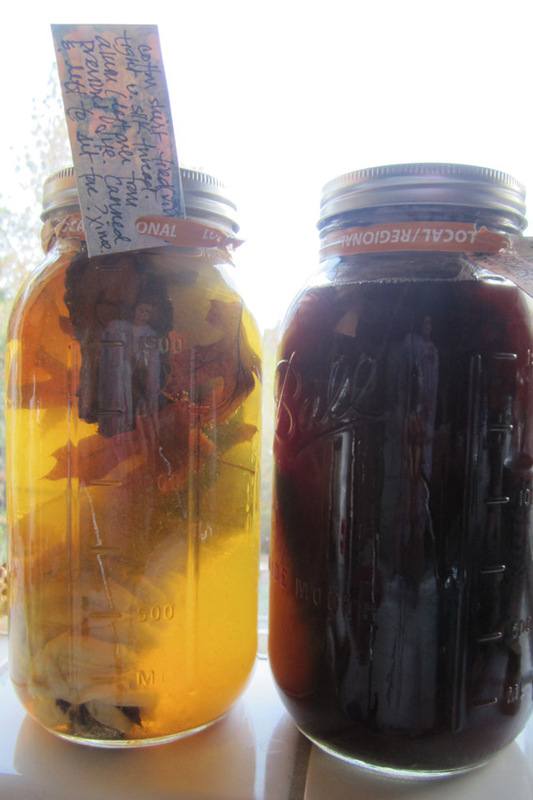 covered in jar w. previously used cabbage juice (used to dye a silk scarf). Boiled in double boiler/canning pot. left to cool on window ceil….